We appreciate volunteer Raghu P for his time this past rainy week. He is completing community service with his employer and has been a big help. A good amount of ‘bad’ litter has been ‘harvested’ from the Meadowbrook Orchard. Not only did the Orchard get a good spruce up but the Meadowbrook Creek also got some needed attention with the removal of tennis balls and school milk cartons getting most of his attention. 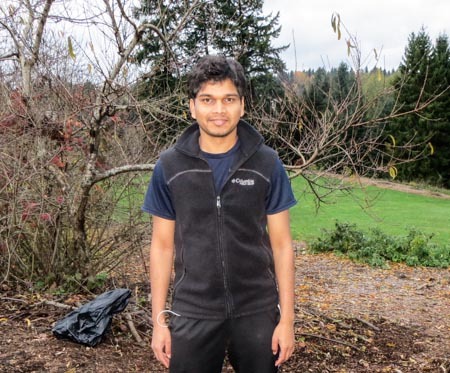 Raghu also weeded the North Orchard and the walk along the Edible Hedge (NE 105th). Good job, Raghu!